The interrelatedness of the world financial system is a troubling notion to think about. The metaphor of a house of cards hardly does justice. On the one hand, interrelatedness helps build international security, stability, and cooperation. Each participant knows their contribution matters to the success of the whole. Rewards for participants appear to be greater than for going it alone. But, on the other hand, failure in any one part of the system ripples throughout the system. And, as recent events would suggest, a big enough failure risks bringing the whole system down. A curious engineer might enquire as to redundancies and mechanisms for isolating failure. Engineers take great pains to design structures that do not catastrophically collapse should any one component fail. No one screw or rivet or nail holds two parts together, there is redundancy. Vehicles are designed with duel brake systems, so if one fails the the vehicle still has brakes. Similarly, the latest buildings are designed so that fires do not spread. They are contained. Modern ships are designed so that a leak can be contained and not sink the entire ship, as happened with the Titanic. The latest designs to minimize damage from earthquakes dampen shock and flexibly isolate the various redundant support components. 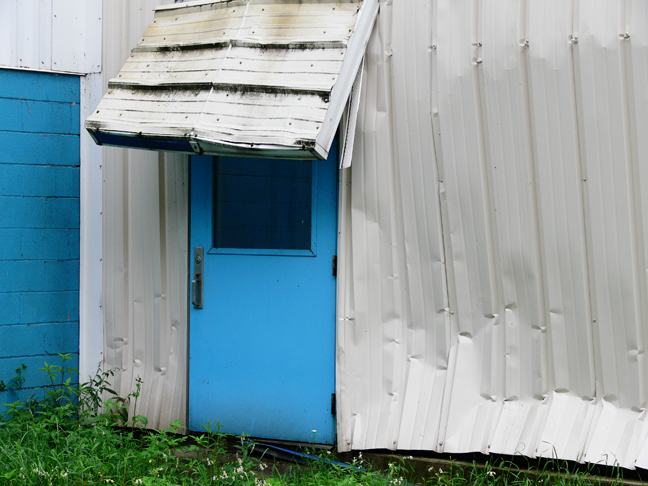 Corrugated metal actually stretches before breaking or pulling down an entire wall. Advice to individual investors has always been to diversify, not put all your eggs in one basket. The reason? To isolate the consequence of failure or loss in any one sector. But, does the underlying structure of the world financial network have the same ability to isolate failure? Apparently not, when the whole idea behind selling shares and securities is to distribute risk throughout the system, not to isolate it. Which is worse, a single individual losing ten million dollars or a thousand individuals each losing ten thousand dollars? A single entrepreneur going bankrupt or a thousand people losing their jobs? Placing upper limits on the size of business and financial institutions might be an idea whose time has come. There would be more opportunity for more entrepreneurs and less risk to the entire system should any one institution fail. How to redesign the world financial system so as to better isolate the consequences of failure yet, at the same time, promote the equitable distribution of rewards from success would seem a pressing matter for today's economists. May their efforts prove fruitful.